What does it take to create an online revolution? From November 11 to December 12, it will be about the biggest online Christmas Sale of the year made possible by Lazada Philippines - the country's One-Stop Shopping and Selling Destination today. So brace yourself for the Lazada Online Revolution Sale for a truly cost-saving experience. In China, the date November 11 or 11/11 is popularly known as Single's Day in celebration of singlehood. E-Commerce retailers however have turned this holiday into the world's biggest shopping event. 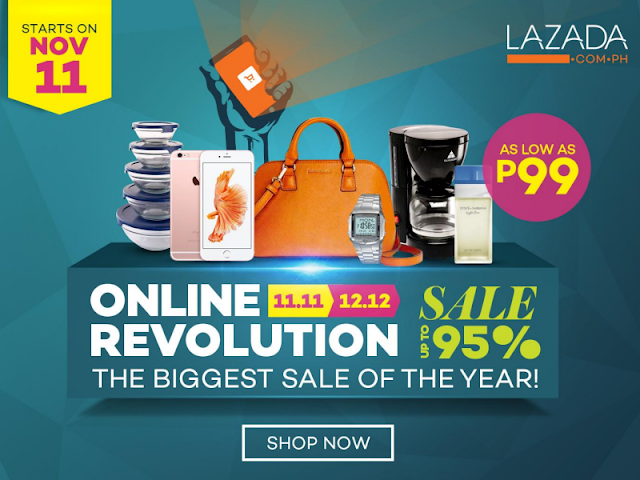 Lazada started its own 11/11 Online Revolution Sale last 2013 and has not stopped since. 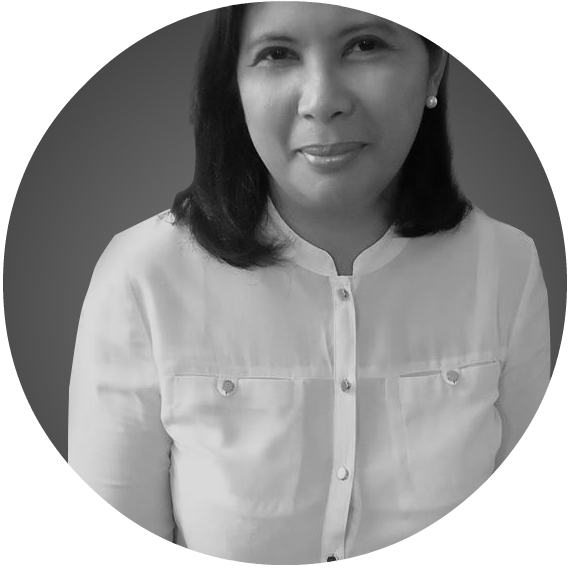 I'm not really sure if shopping is the best therapy for everyone who is not into a relationship but what I am definitely sure of is that it can be one of the best options in finding the best gifts for ourselves and our loved ones for this Christmas season. Sale records are expected to be broken this year as Lazada Philippines anticipates over 2 million visits to its website and mobile app on 11/11. Over 200,000 marked-down deals up to 95% off across 13 product categories including electronics, fashion, kids & toys, and home. will be brought by participating big brands and merchants. Some of which are ASUS, Lenovo, Alcatel, Cherry Mobile, Bosch, Belo, Huggies, Mamy Poko, Timex, and Giordano watches. As an added treat for Lazada fans and shoppers, special items will be offered at only P11 each. The P11 deals will be announced at 11:11 am everyday on one of Lazada's social media channels (Twitter: lazadaph; Facebook: lazadaph; Instagram: lazadaph). Mind you, items like the Sandisk 8GB flash drives, 5600 mAH Powerbank, and 4-layer shoe racks will be available at the amazingly low price of P11. 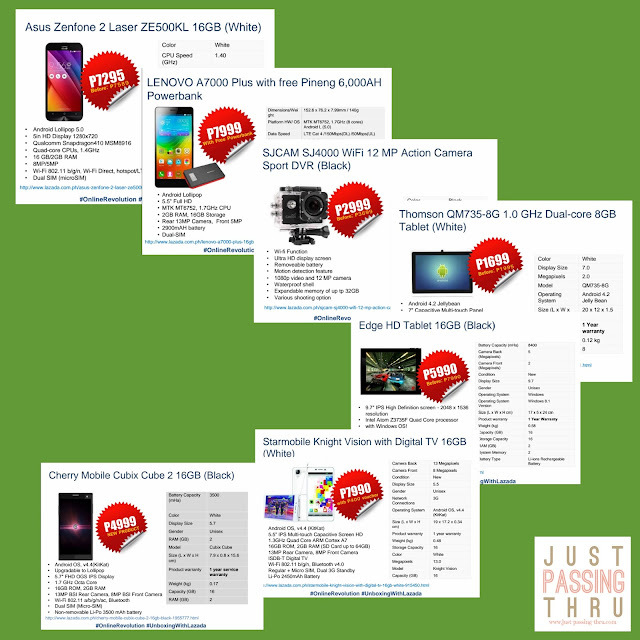 Watch out as well for Flash Deals and P99 Peso Deals. I was alerted early about this exciting sale event during an equally exciting unboxing event sponsored by Lazada. Bloggers were given the chance to see new product offerings and examine them much closely before they are sold in the market. These included the items shown above. The Lazada Online Revolution Sale is proof of how the company continuously seeks to make online shopping convenient and worthwhile for its customers. We all know that shoppers can benefit from getting the best deals during this time of the year when gift-giving is part of the tradition. That said, I have several items in mind that I need to purchase and I'm hoping that I can find most, if not all of them in this exciting sale event.